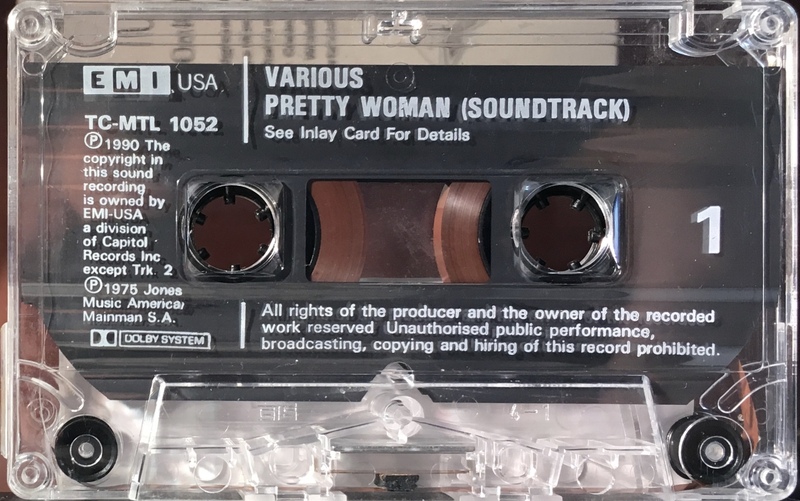 Pretty Woman: UK; EMI USA, TC MTL 1052; 1990. 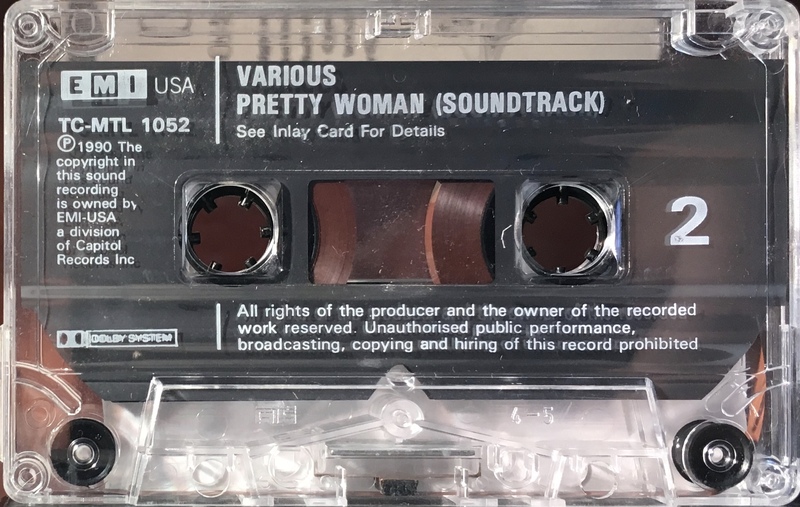 ‘Pretty Woman. Music From The Film’. Full panel cover photo with all white panels on treated, thick paper with track list on the rear half-panel. Movie promo on the inner panels; writing and performing credits on inner and inside panels. David Bowie performs on one track: ‘Fame 90’ on Side 1.